As anybody who has been involved with a GAA club knows, jersey changes are not all that common, usually coming at a remove of around every three or four years, dependent on a new sponsor buying a set or else the previous ones succumbing to wear and tear and making a purchase a necessity. 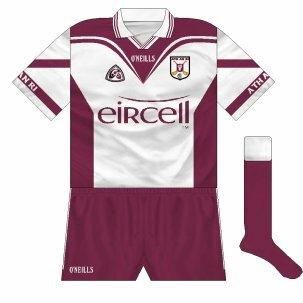 Big finals can also be an excuse for new geansaís and perhaps it is no surprise that the club that is the focus of this piece was one of the most successful in Ireland for a period in the late 1990s and early 2000s. 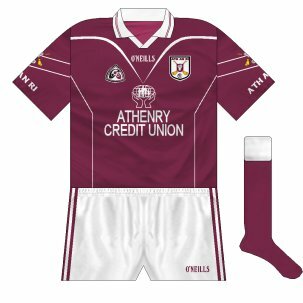 Despite that, however, St Mary's of Athenry in Co. Galway would give some county teams (or even soccer teams!) a run for their money with the regularity of their changes during this period. Click on the images for larger views and details of the kits. 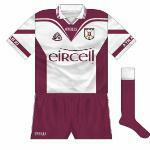 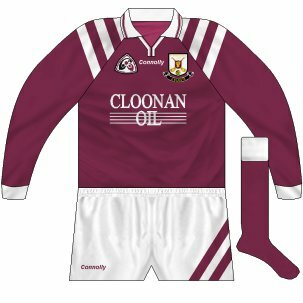 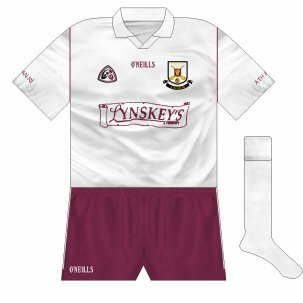 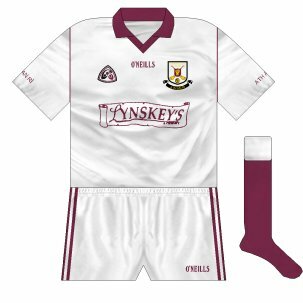 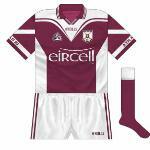 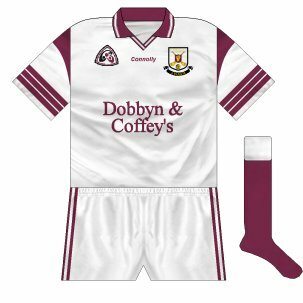 Unusually, during Athenry's golden period, Clare kingpins St Joseph's Doora-Barefield and the coming team in Galway, Clarinbridge, also wore maroon jerseys and white shorts, meaning that Athenry's change kits also got an airing, far more than the average GAA club would be involved in a colour-clash.